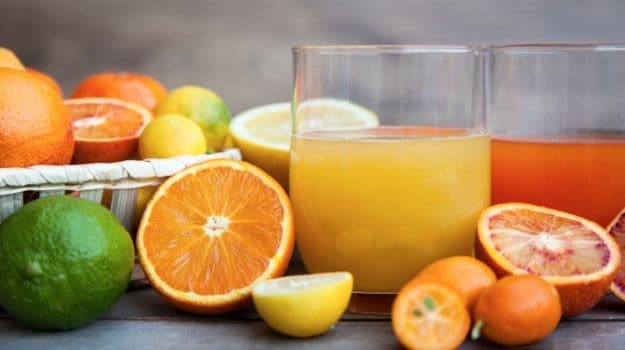 Fresh fruit drinks, ice creams, chilled soups and the like – these are some of the most common food items that become a part of our summer diet to help us beat the scorching heat. But did you know that apart from these chilled treats, certain seasonal fruits and vegetables can also help in cooling the body from within? Every food item has unique properties of its own which lend to its nutritional profile as well as the effects it has on the human body – increasing heat or cooling. Don’t you remember our mothers cautioning us against the excessive consumption of certain foods in a particular season? Different ingredients act differently on our metabolic system. Fruits and veggies are divided into certain categories that bracket themselves into the ones that generate heat in the body and others that are hydrating or have a cooling effect on the body. For example, red chillies, garlic and a few other spices have properties that generate heat in the body. This is why excessive consumption of spicy foods may often cause your body to react and break into acne, skin infections, allergies and so on. On the other hand, foods that are high in water content help in hydrating the body and keep you cool from within. Not only are these light on stomach and easy to digest, but enriched with essential nutrients as well. 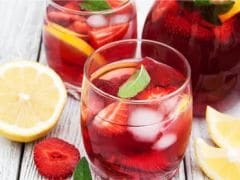 Talking of food properties, one of the primary reasons for a food item to have a cooling property and a soothing effect is the presence of water. Higher the water content, easier the digestion and therefore more cooling. Alkaline water or alkaline water-based beverages also provide respite from the heat. There are certain fruits and vegetables that are alkaline in nature and are more hydrating as compared to others. Alkaline food items are rich in water content, low in calorie and aim at balancing the acidity and pH levels of the bodily fluids. According to a leading nutritionist and health expert Dr. Shikha Sharma, “Most summer vegetables and fruits are loaded with water content. A cooling combination of various essential vitamins, minerals and nutrients along with the hydrating properties help in keeping one refreshed and energized for long.” Keeping the above in mind, let us take you through a list of seasonal produce that will not only help you keep healthy and hydrated but also add an interesting spin to your regular, everyday menu. Bottle gourd: If you can't think of a good reason to include bottle gourd in your daily diet, its numerous health benefiting properties may make you embrace it whole-heartedly in your daily cooking. Lauki juice has long been hailed by health experts for it medicinal properties. They suggest that consuming bottle gourd juice acts as a hydrating agent reducing excessive body heat - this humble vegetable has close to 96 percent of water content. It is low in fat with every 100 gram of the vegetable giving you only 12 calories. Lauki is also great for the stomach and light on digestion. It aids in treating conditions like diarrhea, constipation and insomnia. 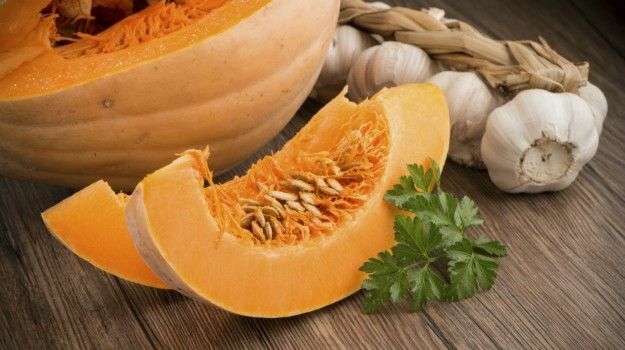 Pumpkin: Another vegetable that is loaded with water is pumpkin. It is enriched with carotene, polyphenols, antioxidants and other health benefiting nutrients. It is low in calorie with every 100 gram accounting to only 26 calories. Pumpkin is highly versatile; whether curried or added into desserts, including it in your regular diet will help you beat the heat. Regular intake will also help in improving your vision, blood pressure and strengthening the cardiovascular system. 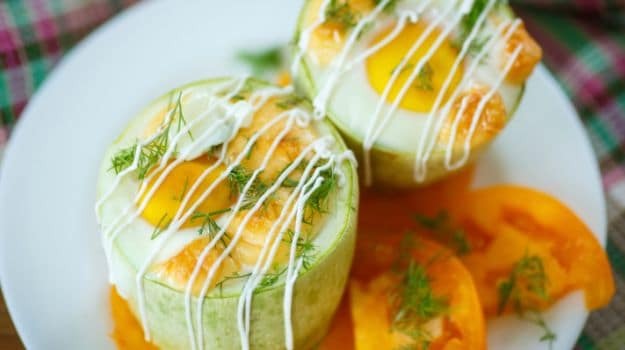 Bitter gourd: Not much popular in the gastronomic circle, this veggie boasts of some staggering health benefits. It comes studded with vitamins A, K, C, B2, B3, Magnesium as well as other nutrients. Its regular consumption guarantees reduction in blood sugar levels. 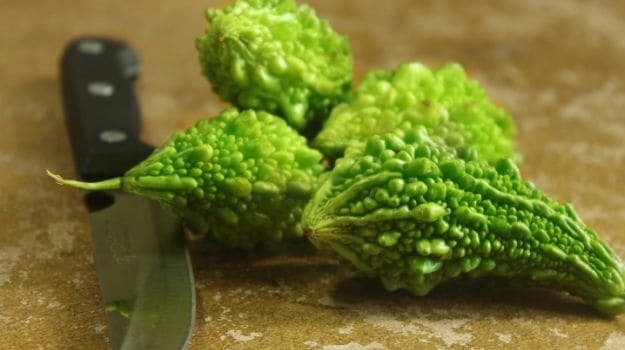 It also strengthens immunity, is good for liver functioning, aids in constipation and is great for treating skin troubles like acne and pimples. Cucumber: Cucumber is probably the most well-known hydrating food items of all time. 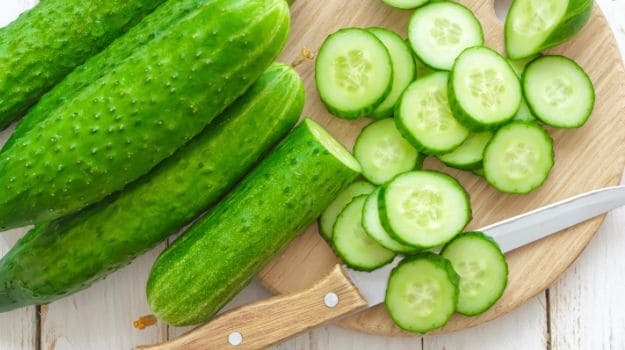 Toss it to make a delightful bowl of salad or simply create a refreshing raita out of it – cucumber is ever refreshing, light on digestion and great for the skin. It replenishes your body with a fresh burst of energy and essential nutrients. Enriched with Vitamins A, C, folic acid and fibre, its topical application also helps in reducing dark circle, puffy eyes and pigmented skin. Cucumber has alkaline level which helps in keeping a check on the blood’s pH level as well as acidity. 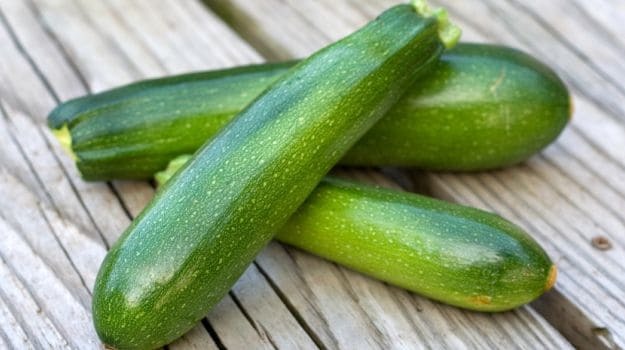 Zucchini: According to Dr. Shikha Sharma, the best way to keep your skin hydrated, supple and glowing is to include seasonal produce in your regular diet. Vegetables like zucchini can be eaten as is without any cooking. They are easily available in the market and can easily become a part of your regular diet. Zucchinis – like cucumbers – are hydrating, refreshing, light and energizing. They come packed with Vitamin A and C and are full of dietary fibre. It is great in taming down high cholesterol levels and its low calorific value also ensures keeping obesity at bay. Lemon: This one is a no brainer. Lemon serves as one of the most popular ingredients for summer beverages and ice creams. Just a generous squeeze of lemon juice coupled with water, soda, ice, sugar/salt will give you a refreshing drink in just no time. 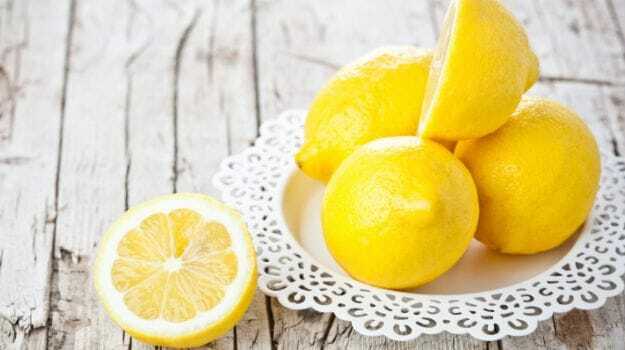 Lemon is great for boosting immunity, battling heat stroke and dehydration. It also helps in tackling throat infections, indigestion, constipation, dental problems and high blood pressure. It is also considered a blood purifier. 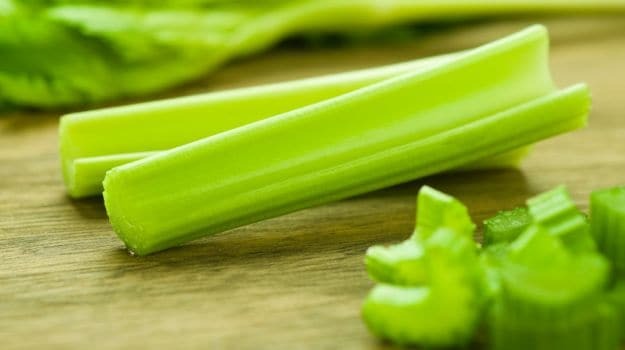 Celery: Loaded with antioxidants, vitamins and flavonoids, celery helps in flushing toxins out from our body. It aids digestion and has anti-inflammatory properties as well. It is good for the heart and comes packed with Vitamin K, C, A, B6, B2, calcium, magnesium, folate and other essential nutrients. 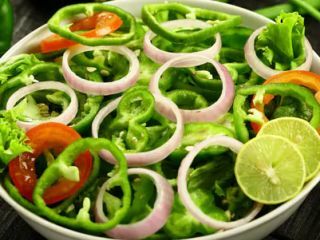 Make it a part of your salads, stir-fries, steamed preparations or soups, its regular addition in your diet will help you feel light, cool and healthy. 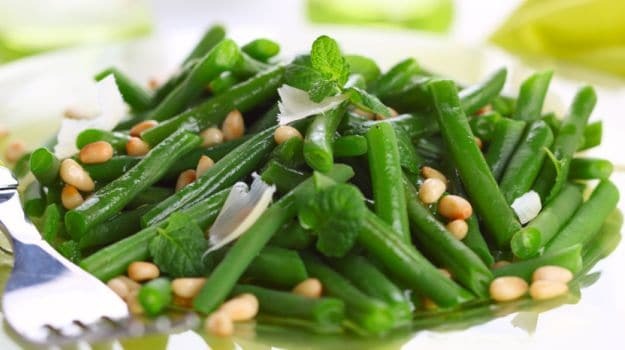 Green Beans: Light on the stomach, low in calorie and packed with earthy flavours, green beans are highly nutritious and surprisingly hydrating as well. These can be boiled, steamed, curried or simply added into salads of your choice. An excellent source of Vitamin K, manganese, fibre and vitamin C, green beans are also enriched with antioxidants, flavonoids and facilitate fighting high cholesterol levels. Tinda:Also known as apple gourd, Indian baby pumpkin or Indian round gourd is widely available across the nation and belongs to the squash family. A Delhi-based nutritionist, Dr. Anita Lamba explains, “Indian round gourd has cooling properties. It is easy to digest and combats gastric issues as well as acidity. It also comes coupled with anti-inflammatory properties along with antioxidants which help in strengthening immunity and flushing toxins out of our system. It is extremely low on calories and nourishes the body with the goodness of Vitamin C, A, Iron, Thiamine and Niacin." Of course, these ought to be on the list. Seasonal fruits always make the juiciest, yummiest and most energizing food items of all. Consider those melons, oranges, berries, pineapples and for that matter your regular apples - a medium-sized apple has close to 100ml of fluid. These are all loaded with the goodness of nature, essential nutrients, are absolutely low on fat and oh so hydrating! Each and every bite taken of those lovely oranges or watermelons leaves a burst of juice in your mouth.